The Wells Branch Park is an 84-acre neighborhood recreation facility created by the residents from public property along a neglected branch creek which bisects and names their community. The architects led community design workshops outlining a Park Masterplan for restoring the creek environment and creating outdoor recreation opportunities. The resulting facilities include hike & bike trails, picnic areas/shelters, an outdoor Community Pavilion, competition and recreational swimming facilities, playing fields, and Mills Pond with fishing pier and a canoe dock. 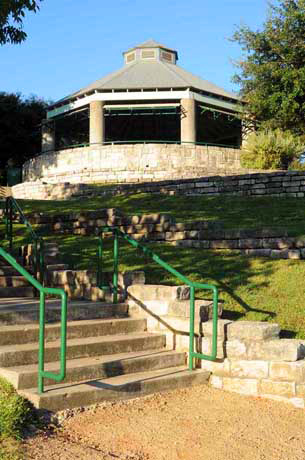 Hinman-Halford Architects were responsible for the implementation of the Park Masterplan, and for the design of the park structures including the Community Center, the Community Pavilion, the Willow Bend Swim Center, and a variety of recreational shelters and other amenities.